MASSIVE GRASS: Viaspace is looking at partnerships to allow utilization of its Giant King Grass in Thailand. Government policy in Thailand encourages further power production from biomass than is already being realized. That expansion could catapult the country to the top of the biomass market chain, and global companies are starting to take notice. Recognizing Thailand's potential, China-based solutions provider DP CleanTech has opened an office in Bangkok, after successful development of many biomass power plants in China, and more in the works. "DP CleanTech has identified Thailand to be the next major market in its rapid rollout of biomass power systems in Southeast Asia," the company's website says. "Southeast Asia is home to one-third of the world's attainable biomass, of which Thailand contributes a significant proportion." But that expansion could also cause competition for feedstocks and, according to some, even a shortage. And on the heels of that shortage comes a price increase for raw material, according to Carl Kukkonen, CEO of Viaspace Inc. Viaspace is working with about five companies in Thailand that are interested in growing and using its trademark biomass feedstock, Giant King Grass, as a cheaper alternative to pricier materials available there now. The price hike has cost money for companies in long-term power purchase agreements that were signed with feedstock price assumptions, Kukkonen says. Since relying on the spot market has proven to be an ineffective strategy, companies are looking for a more reliable and secure feedstock, he adds. Most biomass power plants in Thailand either direct combust or employ anaerobic digestion (AD) processes, Kukkonen explains, adding that two of the most prominent AD waste feedstocks are from tapioca and pineapple processing. One of Viaspace's prospective partners in Thailand, which Kukkonen declined to disclose, is developing an AD facility with a pineapple company and plans to codigest 30 percent Giant King Grass with the pineapple waste stream. Viaspace's prospective partner will plant trials of the grass to ensure it will grow well in Thailand, but Kukkonen isn't worried. "We're certain that it will." If all tests go well, that company plans to build several plants that will digest 100 percent Giant King Grass, Kukkonen says, but didn't release a timeline for the construction of the power plants. 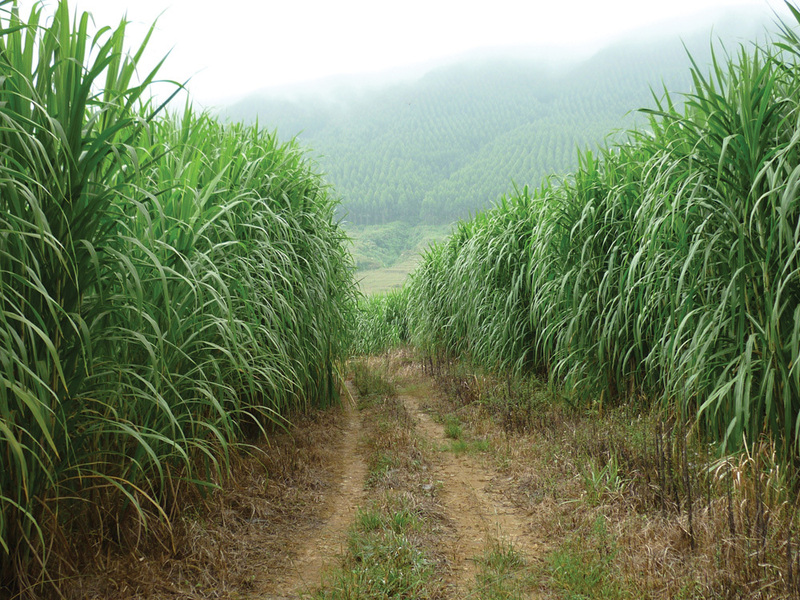 "We expect that there will be Giant King Grass growing in Thailand in the next few months." DP CleanTech doesn't seem as concerned with feedstock availability, but shares in the excitement about the growing biomass power industry there. "Thailand's abundant resources coupled with its accommodative renewable energy policies represent an excellent opportunity for further biomass development and a priority market for DP CleanTech," the company says.